Is your student ministry healthy? This is a question every student minister has asked. It's a question that brings both anger and tears. You are growing in numbers, but something just didn't feel right. It doesn't feel healthy. This is the "there must be more to student ministry than this" moment. Regardless of your ministry context, church size, denomination, or years of experience, it is possible for you to have a healthy student ministry. The three elements, explained by author Ben Trueblood, will lead you to that very thing. 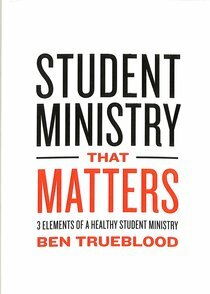 Student Ministry that Matters gives you and your leaders a framework to answer this question, "Is my student ministry healthy?" and help you highlight areas of improvement as you seek to lead a student ministry focused on health. About "Student Ministry That Matters"